Just posting an old-OLD game I made when I was 16 and 17 (complete with grammar errors) and released on the BBSs. 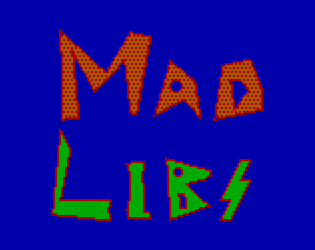 Mostly curious to see if I could post it here to run in a browser via a DOSBox port. It has a grueling DOS interface. You've been warned (but it's kinda worth it regardless). This is an old DOS game from 1988... so DOSBox will be needed to run it on modern OSs.